Once again, the steady hands of time have turned twelve pages on the calendar of history, bringing us right back to Christmas! It's a time of favorite traditions and cherished memories. But, if we were without these things, it would still be Christmas. For the reality of this celebration is Jesus. 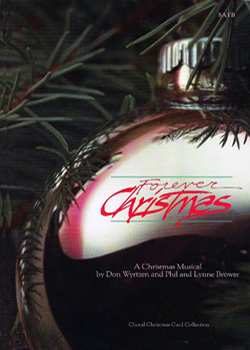 He is "Forever Christmas!" has complete listening tracks - not samples. Drag the yellow player bar to skip dialog as needed. "A Christmas Overture" and "On Christmas Day - Opening"
"We're So Glad You Came"